Acupuncture is a safe and effective treatment for pain relief from low back pain, neck pain, whiplash, arthritic pain, migraines, tension, and vascular headaches. Acupuncture also helps with smoking cessation, weight loss and a variety of other ailments (see the below text for details). Get treatment from licensed chiropractic acupuncture professionals! Please contact us by phone, email, or by using the adjacent form to be able to talk to a doctor or schedule an appointment. If you are making an appointment, you will receive a confirmation call to verify the time before an appointment is scheduled. We look forward to hearing from you! Acupuncture is an Eastern healing art that has been practiced for centuries in China and in the Orient. It utilizes special, very thin stainless steel needles that are inserted at different points on the body. When inserted, these needles help modify the pain response of your body and increase healing activity. The needles are solid and no fluid is injected into your body. What conditions can acupuncture be used for? There is a high degree of success in treating low back pain, neck pain (whiplash), arthritic pain, migraines, tension and vascular headaches, TMJ (lockjaw), menstrual cramps and pain, abdominal pain and angina pain. It has also been used very effectively to stop smoking and for weight loss. Like any other medical treatment, the results of acupuncture will not be known until after it is done. It is effective in as many as 85% of patients who have failed to respond to conventional medical or surgical management. The frequency and the number of treatments depends on your clinical status as well as your need and your response to acupuncture. Usually, you will feel only a slight prick. The feeling is much less painful than having an injection. After the acupuncture needle is inserted a sensation of tingling, warmth, soreness, or numbness may be generated. These sensations may appear locally or in a somewhat distant part of the body. Usually not. You may not even see a needle mark. Sometimes, however, a minute invisible blood vessel underneath the skin may be pricked during the insertion of the thin needle. Acupuncture releases morphine-like chemicals produced by our body (endorphins) to suppress pain via certain neural mechanisms. 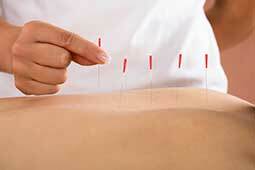 Does my health insurance cover acupuncture treatments? Many insurance companies do cover acupuncture. You should check with your individual carrier for insurance information regarding acupuncture treatments. Our staff and the Doctors will be happy to assist you with any questions you may have. Do you have questions about acupuncture? Please call or text us at (952) 931-9867 and we will be happy to assist you. * Free consultation offer is available to new patients only. Same day appointments offer available on a first come, first served basis. Appointments must be scheduled.